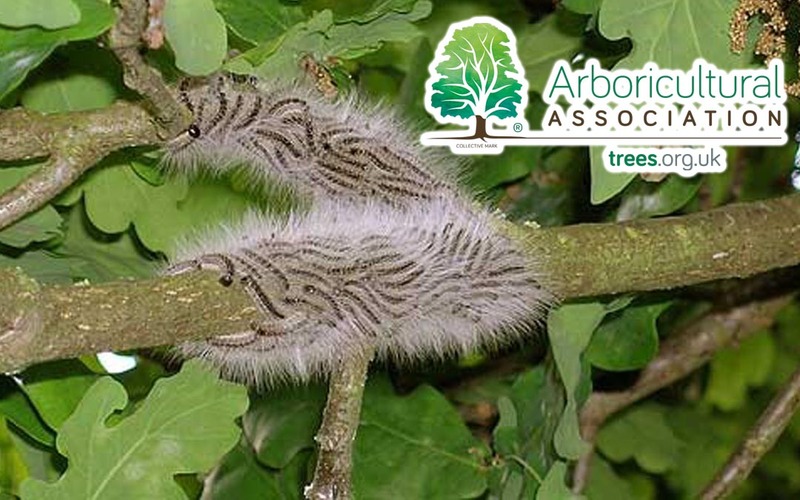 We are delighted to announce that we have now joined the Arboricultural Association’s Approved list of OPM Specialists (https://www.trees.org.uk/News-Blog/Latest-News/Oak-Processionary-Moth-Management-Specialists). The larvae, or caterpillars, of the oak processionary moth can affect the health of oak trees, people and animals. They feed on oak leaves, and large populations can strip trees bare, leaving them weakened and vulnerable to other threats. A protein in the caterpillars’ tiny hairs can cause skin and eye irritations, sore throats and breathing difficulties in people and animals who come into contact with them. Due to the health risks, OPM management is a specialist area of arboricultural pest and disease management which needs to be carefully timed and carried out by professionals with appropriate training and equipment. Our highly experienced team will safely carry out OPM nest removal for you quickly & effectively. Once nests are removed, they are securely bagged and safely incinerated in accordance with industry best practice.